Survivors - What is Survivors? 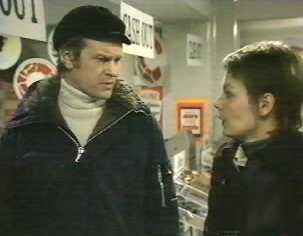 The original or 'classic' Survivors was an 38 episode drama series which aired on BBC1 between 1975 and 1977. 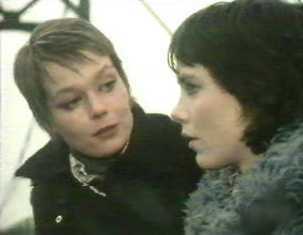 The opening episodes were first broadcast on BBC1 in April 1975 and immediately grabbed the attention and interest of the viewing public. In essence, the series concerns the aftermath of a plague which had wiped out over 99% of the world's population and the experiences of a group of individuals in England as they grappled with the post-plague world and the trials of day-to-day survival. Since its original broadcast the series has gained a cult following, cemented by DVD releases and the publication of a highly regarded guidebook, The End of the World?, penned by Rich Cross and Andy Priestner. Is Survivors available on DVD? All three series are available on DVD. Originally released as series sets, the classic series is now available as a complete box-set. 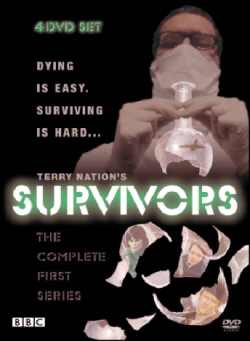 The first series of Survivors was first released on a 4 disc Region 2 DVD (and on 3 double VHS without any special features) in the UK in October 2003 by DD Video. 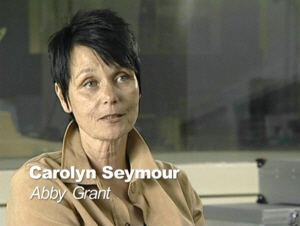 Interviews with Carolyn Seymour, Ian McCulloch, Lucy Fleming, Pennant Roberts and Tanya Ronder recorded in June 2003. The Fourth Horseman (Seymour and Roberts) and Law and Order (Fleming and McCulloch). A gallery of Lucy Fleming's photos. A gallery of BBC stills. 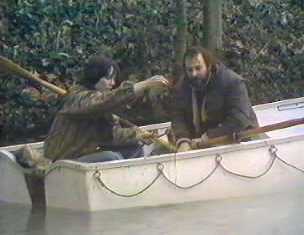 A section of mute film footage which was recovered in June 2003, taken during filming of the final series 1 episode - A Beginning. The second series of Survivors was first released on a 4 disc Region 2 DVD in the UK in October 2004 by DD Video. 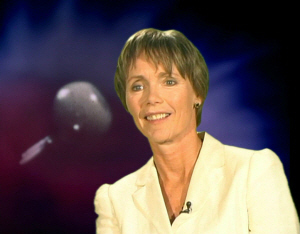 Interviews with Denis Lill, Lorna Lewis, Heather Wright and Pennant Roberts recorded in June 2004. 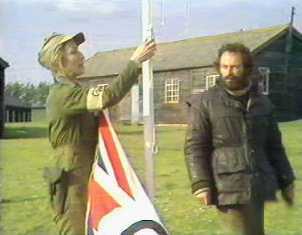 The third series of Survivors was first released on 4 disc Region 2 DVD in the UK in November 2005 by DD Home Entertainment. A gallery of Denis Lill's photos from Series 2 and 3. 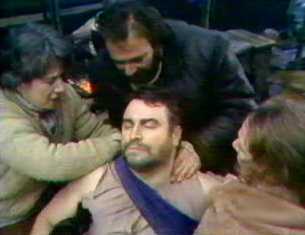 Survivors regular cast changes dramatically throughout its episodes. 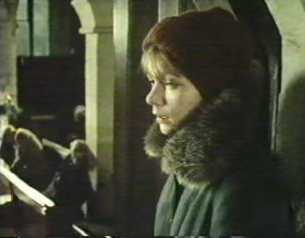 Only Jenny Richards played by Lucy Fleming, makes it from the first episode to the last. 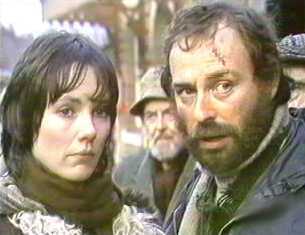 Other key characters are Abby Grant played by Carolyn Seymour [1-13], Greg Preston - Ian McCulloch [2-36], Charles Vaughn - Denis Lill [4, 14-38], Pet Simpson - Lorna Lewis [14-36] and Hubert Goss - John Abineri [14-38]. For full details of these characters and many more, visit the Regular Characters page. Below: Abby and Jenny [Gone Away] | Greg and Charles [Over the Hills]. 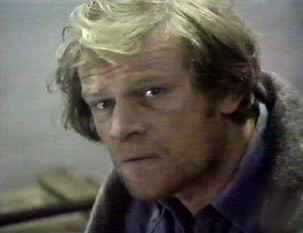 The series was created by Terry Nation, of Doctor Who and Blake's 7 fame. He also wrote half the episodes of the first series. 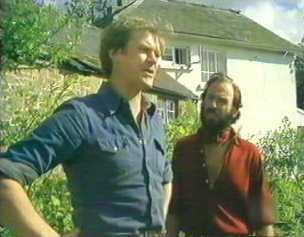 Terence Dudley, who had previously worked on Doomwatch was the series producer. 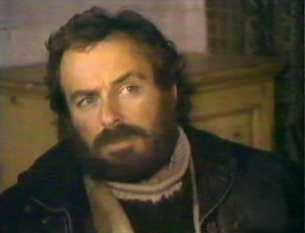 Jack Ronder wrote several episodes and was behind the new direction of series two. 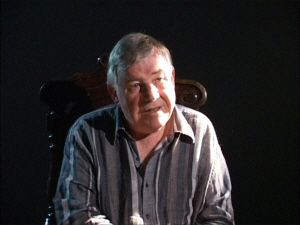 Martin Worth assumed control of the final series and wrote episodes for both series two and three. 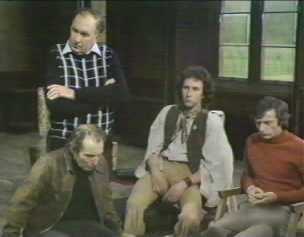 Other writers included Ian McCulloch [who also starred as Greg Preston] Don Shaw, M K Jeeves [Clive Exton], Roger Parkes and Roger Marshall. Below: Jenny and Charles [Bridgehead] | Agnes, Charles and Melanie [New World]. The first series focuses on the determined Abby Grant, a former housewife who is searching both for her son, Peter, and a new way of life. 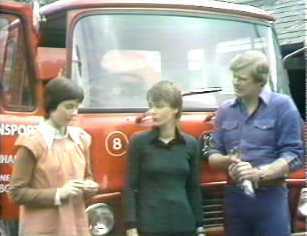 She is accompanied in her efforts by former secretary, Jenny Richards and engineer, Greg Preston. Together they witness various approaches to the catastrophe and first meet Charles Vaughn, a former self-sufficiency expert who returns in series two. Classic episodes include: The Fourth Horseman , Genesis , Garland's War . As the series progresses, Jenny and Greg become a couple, Abby abandons her quest and a community of like minded individuals is set up at a country grange. Whilst here they have to come to grips with agricultural methods, the perils of trading and even the presence of a murderer in their midst. As the first series draws to a close, the first attempts to federate the new communities are made and Abby learns that Peter is alive. Classic episodes include: Law and Order , Revenge . Below: Tom, Arthur, Paul and Vic [Law and Order] | Jenny, Abby and Greg [Something of Value]. by the survivors there. At the end of the second series the arrival of a Norwegian girl called Agnes and her father's extensive notes on Britain's many communities, heralds the beginning of the end of the Whitecross set-up. Greg leaves the settlement and Jenny to help survivors in Norway, whilst Charles is once more fired up to attempt to federate the nation. Classic episodes include: Lights of London 1+2 [16-17], Parasites , Over the Hills . Below: Penny, Ruth and Amul [Lights of London 1] | Pet and Greg [Over the Hills]. With news that Greg is back in England, Charles, Jenny and Hubert the shepherd, set off on his trail. They are always to be one or two steps behind Greg, as he travels the countryside gathering information, whilst they encounter various perilous individuals and dangerous situations. After several wild goose chases, a distraught Jenny calls a halt to the search and there is a reunion with the members of the Whitecross community who have relocated to Challoner. Classic episodes include: A Little Learning , Mad Dog , Reunion . 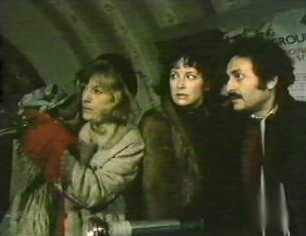 Below: Edith, Charles, Agnes and Brod [Law of the Jungle] | Jenny and Charles [Bridgehead]. Classic episodes include: The Last Laugh , Long Live the King . 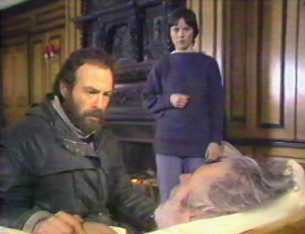 Below: Charles and Jenny with Frank Garner [The Enemy] | Agnes and Charles [Long Live The King].